Pre-cut tapes with rounded corners printed with your Personalised Text. Great for naming School wear & Sportswear. They measure 46mm wide x 12mm high. Corners are rounded. Full instructions are printed on the reverse of the tapes. Text can be either all CAPITALS or Upper/Lower case. Peel off the tag and put in place in the garment. Repeat the steps 2 or 3 times again total of 3 pressings and cooling. All instructions are printed on the reverse of the tags sheet. If garment cannot be ironed, sew the label in usual way. 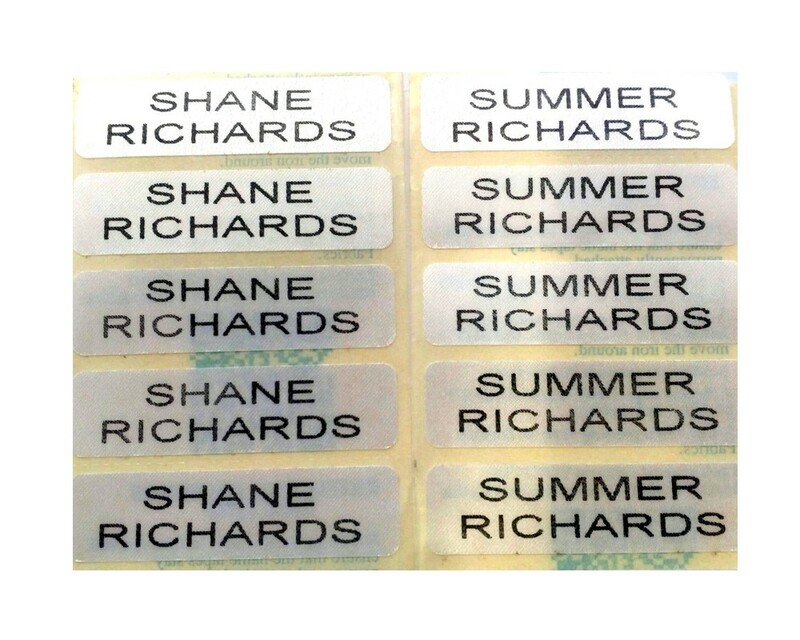 Printed in black permanent ink lettering on a satin tag.